Preheat oven to 350 degrees Fahrenheit. Line the bottom and sides of an 8-inch square baking pan with parchment paper and set aside. Melt butter and chocolate in a large microwave safe bowl in 30 second intervals or using a double boiler. Stir in sugar, then peppermint extract and eggs. Gradually stir in flour and salt until combined. Pour into prepared baking pan and bake for 30-35 minutes until tester inserted in the center of brownies come out clean. Cool completely. Melt candy melts in a medium microwave safe bowl or double boiler. Spread evenly on top of brownies. Place in refrigerator until top hardens. 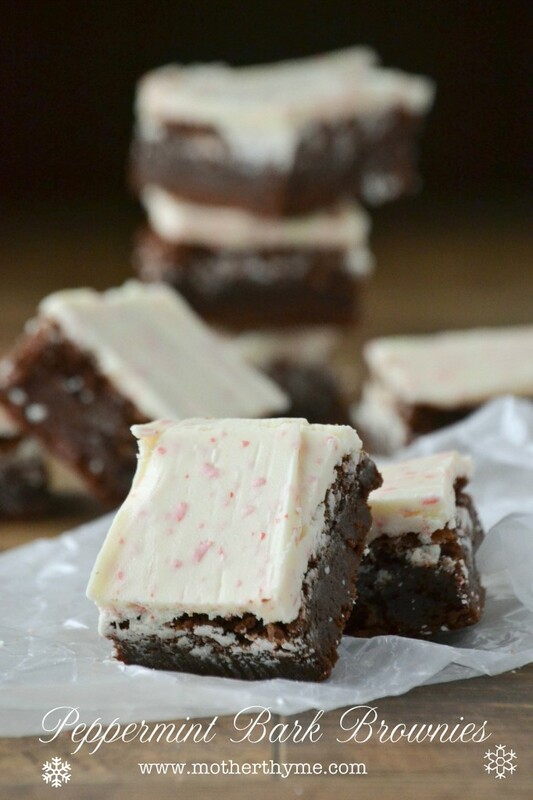 For chocolate brownies substitute peppermint extract for 1 teaspoon vanilla extract.